You will Love this 2009 Subaru Impreza Wagon! 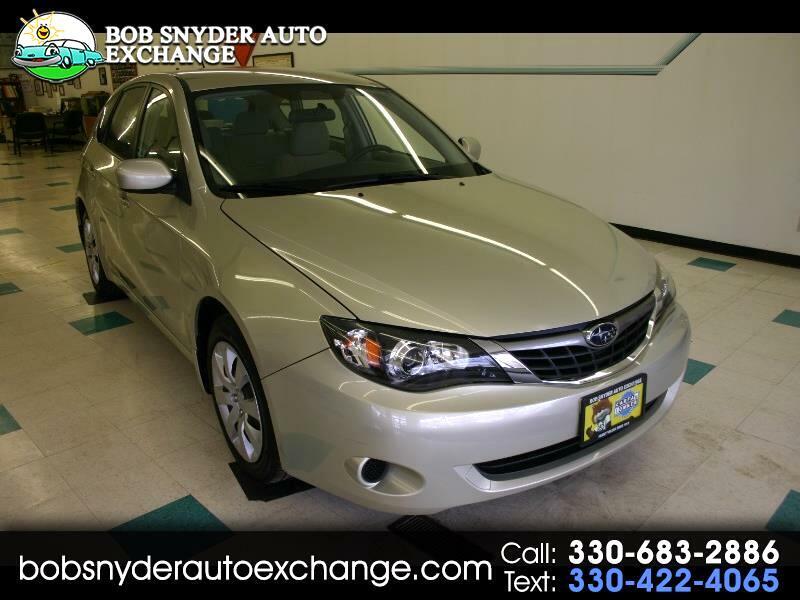 All wheel drive, Exceptional LOW miles, and a great price! Don't miss this one!! listing sites looking for a fair deal? or tablet, relying on our expertise. WHOLESALE. can we buy you one? Message: Thought you might be interested in this 2009 Subaru Impreza. All Vehicles subject to prior sale. Listing information is true and accurate to the best of our knowledge. Exact vehicle mileage may vary from advertised mileage due to test drives and rental units being driven. Dealer does not offer in house financing (buy here pay here), but does act as an agent with several financial institutions. Financing is not guaranteed, and relies on customer's ability to meet criteria of financial institution. Bob Snyder Auto Exchange commits to keeping customer's personal information confidential and private. Dealership only releases customer information to qualified financial institutions we respect our customer's security. WE DO NOT SELL INFORMATION TO ANY ORGANIZATION. Steve Located this car for me. I saw it for the first time and it was like a blind date that turned out to be a SUPERMODEL! Absolutely stunning! I don't know why anyone would buy a brand new car!